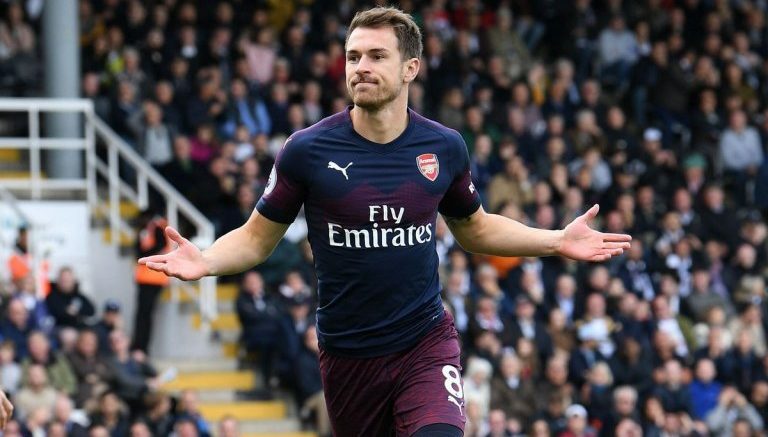 Italian club Juventus are hoping to open negotiations over a deal to land Welsh star Aaron Ramsey during the January transfer window, according to a report. According to the latest reports in Italy, Juventus have pinpointed both Ramsey and Adrien Rabiot as possible targets, with both players out of contract at the end of the campaign. The Old Lady have something of a record of looking into the free agent market for possible bargains and they are set to do the same in the coming weeks. Ramsey has been connected with a host of clubs, including Bundesliga champions Bayern Munich and Maurizio Sarri’s Chelsea, but it is yet to be seen where Wales international will end up. Be the first to comment on "Deal Almost Done: Juventus set to accelerate plans to land struggling Arsenal midfielder"